This guide will help you find reliable information on funeral services education. Students in this program learn about mortuary law, restorative art, funeral directing, embalming and psychology of grief. This guide will help you find reliable information on funeral services education and funeral directing, in both print and online sources. If you have any questions about researching this topic, or about STLCC Libraries, please use the contact information at right, or Ask-A-Librarian. 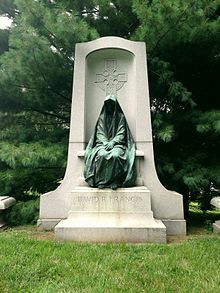 Image source: Wikipedia, Bellefontaine Cemetery - Grave of David R. Francis. (October 1, 1850 – January 15, 1927) was an American politician and diplomat. He served in various positions including Mayor of St. Louis, the 27th Governor of Missouri, and United States Secretary of the Interior. Offered through Human Studies @ Forest Park. This program prepares students for an entry-level position as a funeral director and embalmer in a funeral home. Students will learn about mortuary law, restorative art, funeral directing, embalming and psychology of grief. Offered through Human Studies @ Forest Park. This program prepares students for licensure as a funeral director and entry-level employment in a Missouri funeral establishment, as well as other states with similar licensing regulations. Funeral directors use counseling skills to assist families in coping with grief, adjusting to new situations and making appropriate funeral arrangements. 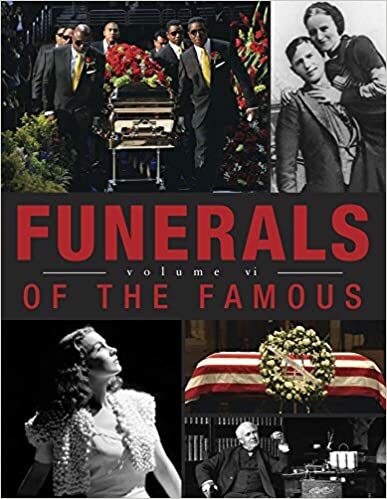 This nontechnical certificate is geared toward the business and public relations aspects of operating a funeral home, and does not include courses in embalming. The Funeral Service degree program at St. Louis Community College is accredited by the American Board of Funeral Service Education (ABFSE) 992 Mantua Pike, Suite 108, Woodbury Heights, NJ 08097 (816) 233-3747. National Board Examination scores, scholarship information, graduation rates and employment rates for this and other ABFSE accredited programs are available. This title is also available electronically in Ebook Central. Nine Years Under: Coming of Age in an Inner City Funeral Home by Sheri Booker. Death's Door: Modern Dying and the Ways We Grieve by Sandra M. Gilbert. The candidate handbook was designed to help you register and sit for the Laws, Rules, and Regulations Examination. This is not a complicated process, but it is important that you follow the registration steps carefully. Missing a step or making a mistake during registration can delay your examination, or prevent you from taking it entirely. Take the time to read through the handbook before you start to register—it will make the examination process easier for you along the way. Pay special attention to the websites tab on this guide and to the tab titled, Using the Libraries Search It! tool.